Base Mount Structural Pipe Fittings accommodate toe boards. Suited for indoor or outdoor use, corrosion-resistant Kee KlampÂ® 69-8 malleable cast iron and Kee LiteÂ® L69-8 aluminum slip-on fittings fit 1Â½ in. dia pipe. They can be used to construct industrial, commercial, and residential guard railing, as well as other pipe-fitted structures. Kee Klamp fittings are galvanized to ISO 1461 ISO 9001:2000 manufacturing quality standard, while Kee Lite fittings are certified to ISO 9001:2000 standard. Galvanized Kee Klamp fittings are certified to new ISO 9001:2000 quality standard. 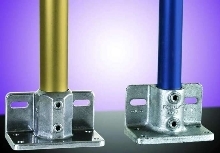 (APRIL 2005) - Kee Industrial Products, Inc., Buffalo, New York announces the introduction of two new base mount structural pipe fittings for use when toe boards need to be attached to the base of railings, balustrades, and other tubular pipe structures. The new Kee Klamp® Model 69-8 malleable cast iron and new Kee Lite® Model L69-8 aluminum slip-on fittings are corrosion resistant and fit Size 8 (1-1/2" diameter) standard pipe. Kee Klamp fittings are galvanized to ISO 1461 ISO 9001:2000 manufacturing quality standard certification. 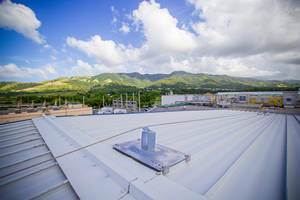 According to Kee Industrial, the Kee Klamp 69-8 and Kee Lite L69-8 base mount fittings can be used to construct industrial, commercial and residential guard railing and other pipe-fitted structures such as bleachers, stairs, mezzanine rails, racks, frames, stands, and tables. The base plate holes have a 7/16" diameter, which is wide enough to all for attachment with either mechanical or chemical anchor. The side plates have slotted holes to allow for a degree of sideway movement to facilitate installation. The new fittings feature case hardened set screws, enabling easy installation with a hex wrench, the company states. They can be powder-coated in a wide range of colors, and are practical for indoor or outdoor use. 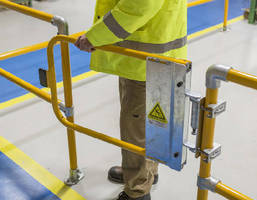 Compared to welded railings, Kee fittings are said to reduce installed costs by up to 50% or more, requiring no welding, drilling, threading or bolt. Constructed of high-grade Aluminum Silicon Magnesium, Kee Lite aluminum fittings are strong, lightweight, and feature a sleek, contoured design, bright finish for aesthetic appeal. For free literature and additional information, contact Kee Industrial Products, Inc., 100 Stradtman Street, Buffalo, NY 14206. Toll-Free: 800-851-5181. Phone: 716-896-4949. Fax: 716-896-5696. E-Mail: info@keeklamp.com. KeeKlamp.com or KeeLite.com. 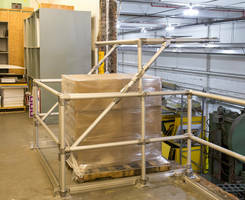 Kenneth A. Boos, Account Executive, Harold Warner Advertising, Inc.
Kee® Pallet Gate features pipe railings. KeeLine® Horizontal Lifelines offer multiple fixing options. 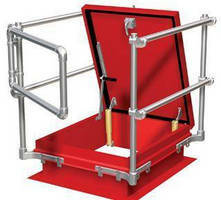 Self-closing Safety Gates offer permanent hazard protection. 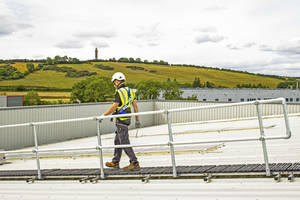 Lifeline System provide fall protection at working heights. Roof Hatch Railing System installs in less than 30 min. .
NPT Fittings are rated for 10,000 and 15,000 psi service. Rubber Boot protects sprinklers in freezer installations. Fittings facilitate sealing and draining vertical conduit. Plastic Fittings feature check valve cartridge inserts. Thread ID Kit checks hydraulic fittings.